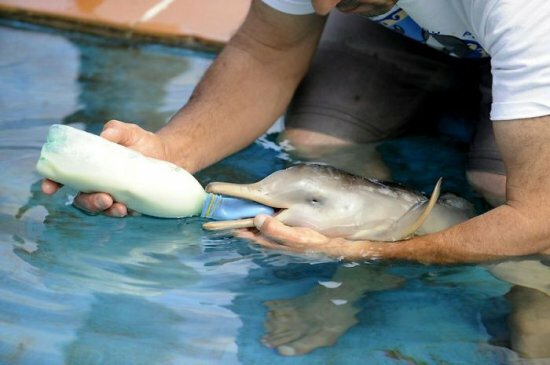 A baby dolphin is lowered into a swimming pool just hours after being rescued. 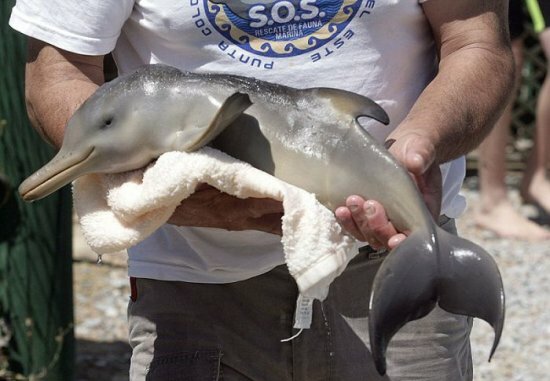 The mammal was discovered by walkers on a beach near the Uruguayan capital, Montevideo. 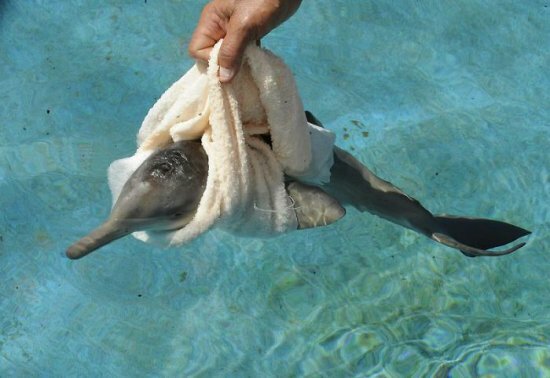 It was suffering from injuries believed to have been caused by a fishing net.There was no sign of its mother. 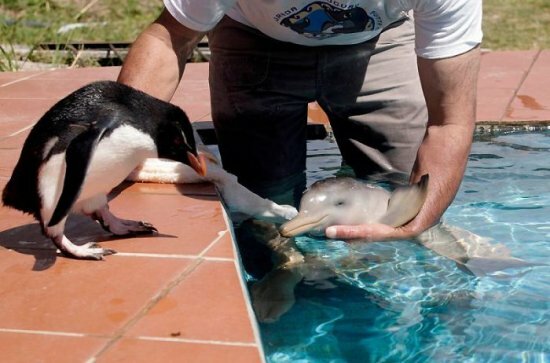 The dolphin is only about ten days old.Richard Tesore, head of the NGO Rescate Fauna Marina, has been caring for tiny animal in Piriapolis, 62 miles east of the capital, Montevideo.And while his cute charge is a hit with visitors, it seems they must queue behind a penguin if they want to see him. The Magellan penguin is also being looked after at the centre and has taken an interest in the new patient. 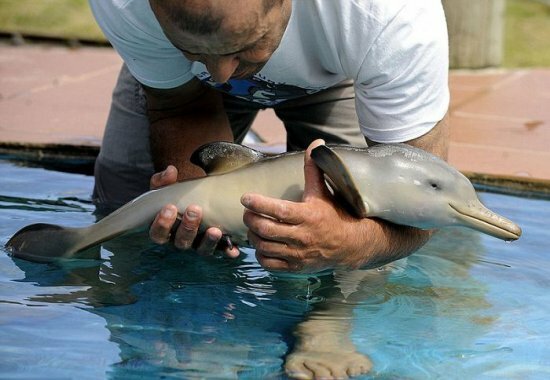 The natural survival rate for dolphins within their first year of life in the wild is 20 per cent. 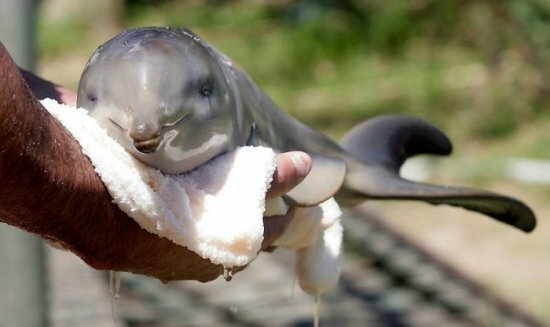 The death toll of captive born dolphins is much higher. 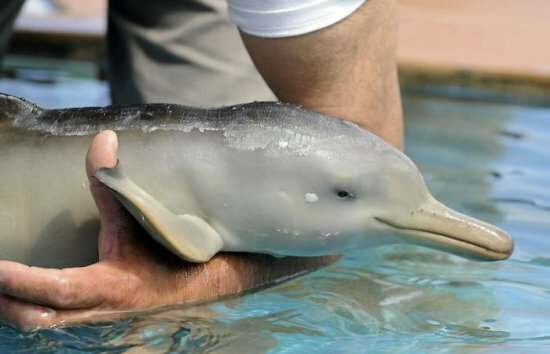 According to the US Marine Mammal Inventory Report did between 1960 and 1993 more than 50 per cent of the dolphins born in captivity within the first four months of life.